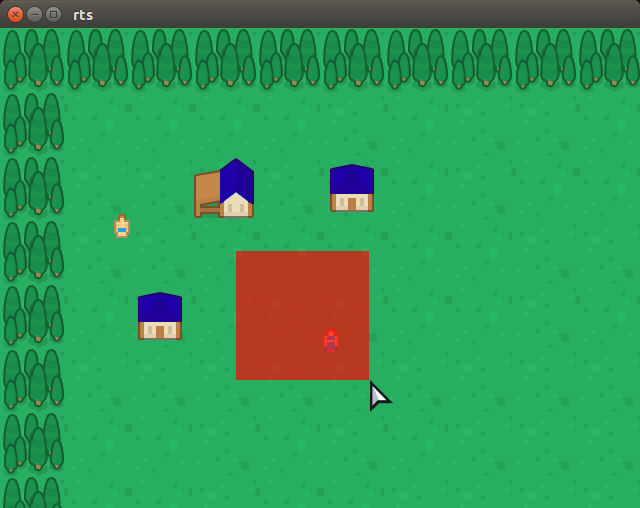 As another side project I’ve been working on: a small strategy game. You can select the characters by dragging the mouse and then order them to walk somewhere. There are two types of buildings you can place, but they don’t do anything yet. The idea is to chop wood and mine gold and stone and then use that to create an army to crush the opposing team, but that is all a long way coming. The art comes from Kenney.